Melbourne's waters, whilst not the warmest in Australia, are some of the most varied and interesting in the country. You've probably already seen divers on the boats in dry suits - they're the ones who immediately after the dive undo the tops of their suits and don't appear to be cold, or even wet! 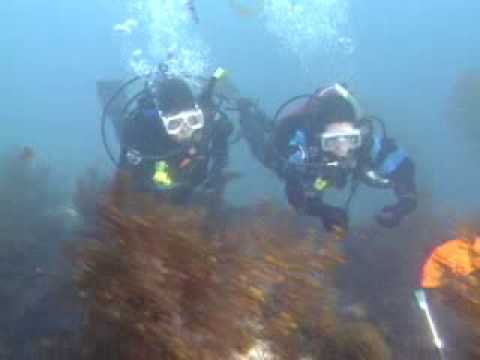 If you want to get the best out of the amazing diving on your doorstep in Melbourne, then diving dry is definitely the way to go. Apart from the warmth when you are diving people also wear drysuits for the post dive or in between chill factor. Because you are dry you dont feel that wind cut through your suit. Diving is all about enjoyment of this wonderful sport. If you are cold the gloss will be taken away. We equate it going to the snow. If youre cold then you need to layer up or invest in the right layer so that you keep warm. It is no different in diving. Invest in your Melbourne diving by getting a drysuit and you will never go back. Scuba diving with a dry suit is useful when diving many types of dive sites. A dry suit is necessary when ice diving and sometimes while altitude diving. Technical divers in Melbourne will almost always be in a dry suit on almost every dive due to the length of the time spent underwater. The longer the diver is in the water, the more thermal protection is required. If technical diving is something that interests you, check out the Discover Tec Diving experience.